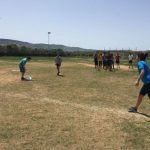 To�provide the youth in our UP programs in the Middle East with a much more intensive experience with the sport of Ultimate, its values, and its unique people, Ultimate Peace conceived the idea to hold its first summer camp. The camp brought 145 youth from communities some of the following communities:�Jericho, Beunanujedat, Raanana, Bait Sachor, Acco, and Ain Rafa. 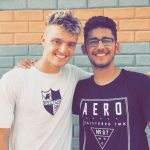 To see how awesome Camp UP was,�check out the videos! Camp UP – Middle East 2010 a Huge Success! 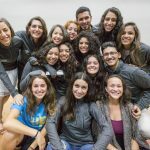 In July 2010 Ultimate Peace broke new ground, holding its first ever Ultimate Peace Residential Summer Camp, in Acco, Israel. 145 youth from Arab Israeli, Israeli Jewish, and Palestinian communities got a break from the tensions of their daily lives. 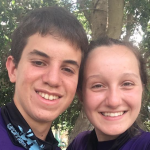 They lived together for a week in beautiful, safe, secure surroundings, enjoyed a multitude of fun activities, and played and bonded around the sport of Ultimate. Teachers and coaches from their communities underwent a 2-day coaches training to ensure continuity. The coaches were made up of international elite players, all of whom took time off from work/school to work with the Middle Eastern youth. 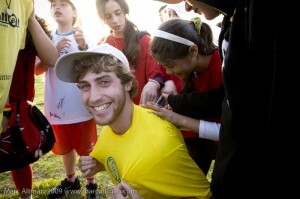 Ultimate Peace has a clear vision for the future: Israeli and Palestinian youth playing side by side, forging new connections, developing a deeper understanding of one another, and bonding through the shared athletic experience of playing one of the fastest growing sports in the world, Ultimate Frisbee. Ultimate Peace aims to promote peace in the Middle East, one game at a time. 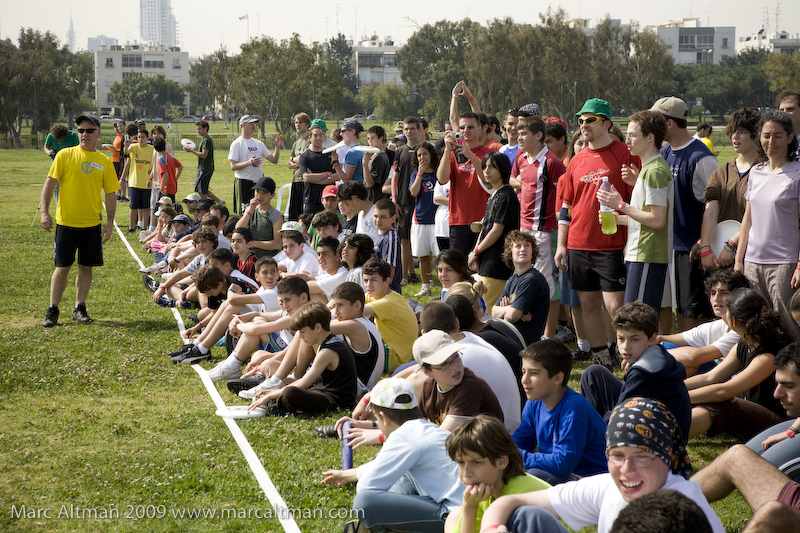 Following our ground-breaking first event in Park Hayarkon, Tel Aviv, in April 2009,�the organizers of Ultimate Peace announced the next exciting phase of Ultimate Peace in the Middle East. The monthly sessions are intended to provide as many kids as possible with an opportunity to learn and play the game. Each session will be open to and free for any youth in the community who wants to participate. With active local marketing of the sessions, we anticipate many hundreds of youth joining up. Sessions will be staffed by international players living in the region, and will focus on teaching basic skills, strategies, and values. Spirit of the Game will be a big focus, and playing actual games will be the eventual objective. Again, fun and sportsmanship before anything else! Our plan is to cast a wide net and set the stage for maximum participation in our more intensive�upcoming�activities. 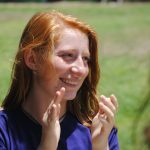 Our overnight camp will offer a unique opportunity for youth to have a fun, active, inspiring week away from home, all while living communally in a relaxed comfortable setting. Time will be split among learning/playing Ultimate, playing other disc sports, and engaging in special activities and classes involving music, dance, art, language, communication, and peace-building. Sharing aspects of mutual cultures will be integral to the experience. 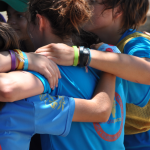 Our goal will be to offer a boys and girls league in which twinned teams (teams made up equally of Israeli and Palestinian youth) will travel, compete, and enjoy the power of playing Ultimate in the context of Spirt of the Game. Like the camp experience, there will also be a focus on enabling youth to share and celebrate music, dance, and customs of their respective diverse backgrounds. Training local community teachers and coaches in teaching the game and values of Ultimate is central to our aspiration of building local capacity to advance the game. We will be providing ongoing training in our monthly sessions, hold a two-day coaches training session at our summer camp, and provide ongoing tools and oversight throughout the year so that continuity and program expansion can flourish back at home. For all of these endeavors, the Israeli Ministry of Sport and culture will help recruit hundreds of Arab and Israeli youth, helping with appropriate transportation, security, and supervision. They will also consult and provide partnership on all activities, on and off the field. All activities of Ultimate Peace in the Middle East are overseen by�Dr. 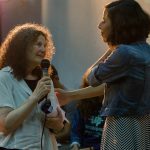 David Barkan,�Dori Yaniv, and Linda Sidorsky, and are facilitated by Ultimate Peace staff and�coaches from around the globe. 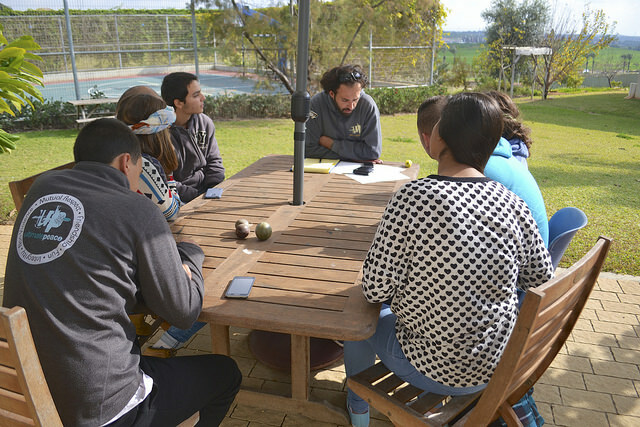 Joining together with Israeli and Palestinian teachers and coaches, all adult Ultimate Peace instructors focus on the physical elements of Ultimate, as well as on communication, cooperation, and problem-solving, essential components of this sport and life.